You are enjoying a vacation in a foreign country. This country is famous for their zoos that house exotic and sometimes weird animals. Some animals are found only here at this country. Their zookeepers are also very passionate. Some even know how to make the zoo animals do tricks that you never thought were possible. 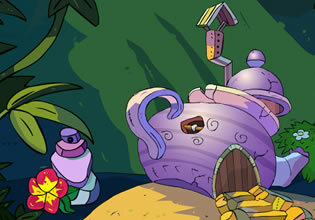 What's more, the houses that the animals live in are very extravagant and luxurious. 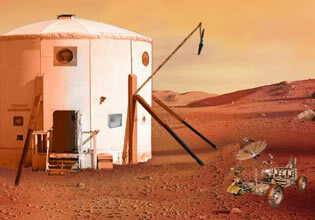 Some live in houses that could be considered as mansions for humans. That is how much they love and take care of their animals. The zoo does not skimp out on the lifestyle of the animals. This is what makes their zoos worth visiting even if you are from another country. One particular animal exhibit is of a peculiar monkey. No matter the pampering the zoo has done, the just cannot manage to make the monkey happy. The monkey has all the food and luxury in the world it could ever have but the zookeepers are stumped. You decide to investigate the monkey. You then find that inside its house are countless puzzles. 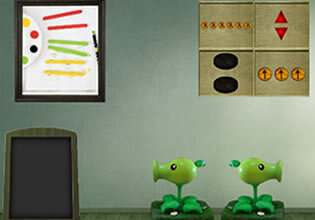 Consequently, you feel that you need to point and click to interact with these puzzles and solve them. Monkey Go Happy - Stage 227 is cute and fun point and click escape game from Pencil Kids. Solve the puzzles and perhaps the monkey will be happy. Good luck!